If you like photography, you’ll love this gallery and meeting place which opened in 2010. As you’d expect there are lots of photos to see in the exhibitions which change every so often, but it’s worth visiting the bar too for a lovely view of Stockholm. Fotografiska is at Stadsgårdshamnen 22, near to the bridge to Gamla Stan. This is an extract from our free Stockholm City Guide. Although the photos in the exhibitions are the main attraction at the gallery, we also love the building itself and the way it’s been converted. Construction began on the building in 1906 and the red bricks and supporting pillars make it a very attractive building to look at. It was originally used as a customs ccontrol centre for the docks. After the conversion, the new gallery opened in May 2010. It sits in a stunning location on the water’s edge which offers attractive views on a sunny day. Fotografiska is open daily from 10am to 9pm. 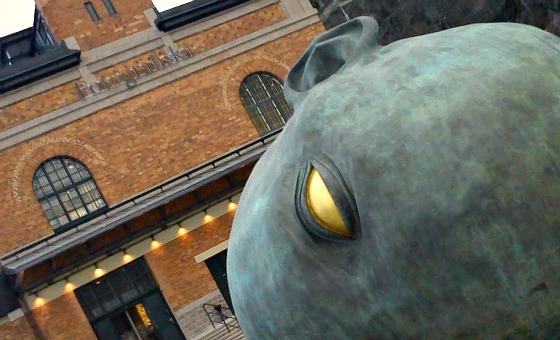 Adult admission is 110 SEK (2011 prices) which allows access to all exhibitions. 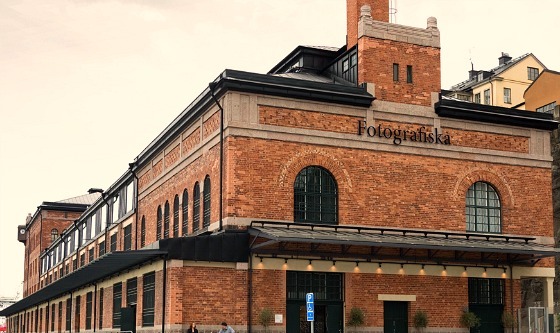 Fotografiska is in easy walking distance of the main shops in Stockholm, but if you want to use public transport take the Metro to Slussen station.